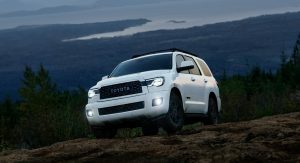 Being in the market for a decade now, the second generation Sequoia is the SUV turned into the ‘TRD Pro beast’ that Toyota teased a couple of days ago. 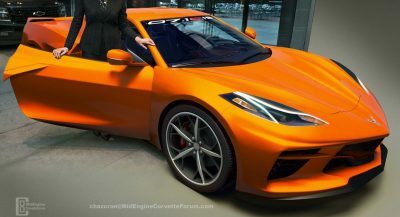 Presented online just hours before its 2019 Chicago Auto Show debut later today, it has a beefier suspension, with specially-tuned Fox shock absorbers that should come in handy off the beaten path. 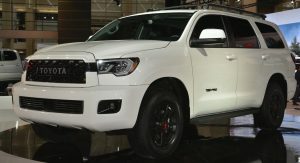 The Sequoia TRD Pro also has a reworked grille, LED headlights and fog lamps, specific front skid plate and roof rack, 18-inch BBS wheels, covered in 275/65 tires, and is available with a TRD cat-back exhaust system. 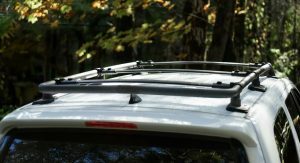 Clients will get to choose between four colors: an exclusive Army Green, Super White, Midnight Black Metallic and Magnetic Gray Metallic. 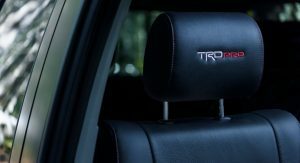 The interior of the full-size SUV sports black leather-trimmed seats with red contrast stitching, ‘TRD Pro’ accents and all-weather floor mats. Standard amenities include the power tilt/slide moonroof, 8-way power driver’s seat, premium audio system, tri-zone climate control, 7-inch infotainment system, Apple CarPlay, Android Auto, Amazon Alexa, SiriusXM, Bluetooth, USB port, Smart Key and push-button start. 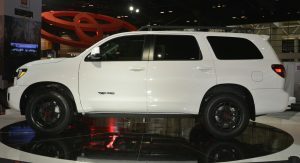 Available exclusively as a 7-seater, the 2020 Sequoia TRD Pro has the Toyota Safety Sense-P bundle of driving assistance features, with pre-collision with pedestrian detection and automatic braking, lane departure alert, automatic high beams, radar cruise control, blind spot monitor and rear cross traffic alert, as standard. 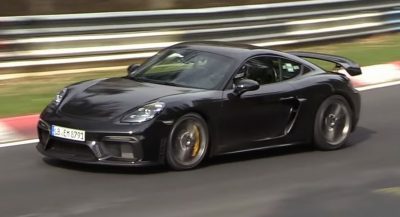 Power comes from the usual 5.7-liter V8, which makes 381 hp (386 PS / 288 kW) and 401 lb-ft (544 Nm) of torque. 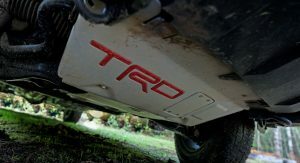 It’s mated to a 6-speed automatic gearbox and provides a towing capability of up to 7,100 lbs (3,221 kg). 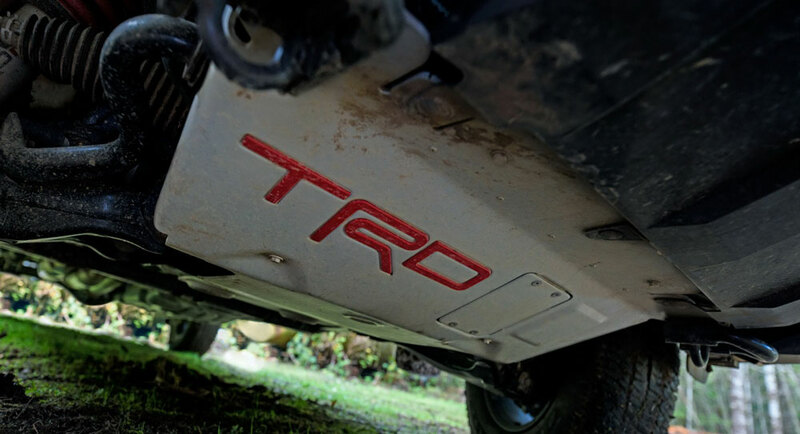 Besides the Sequoia TRD Pro, Toyota has also announced a series of upgrades for the rest of the TRD Pro models, such as the Tacoma, Tundra and 4Runner. 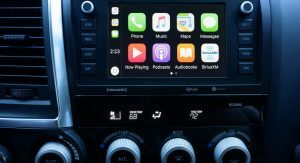 These now get a new 8-inch infotainment system with Apple CarPlay, Android Auto and Amazon Alexa, and push-button start, among other minor revisions. 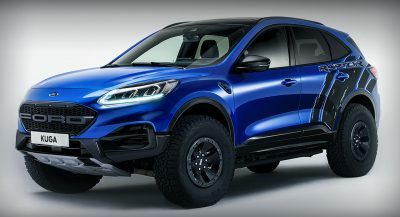 Actually I love this vehicle, but i honestly don’t know why. Oh, this’ll be a huge seller. NOT! 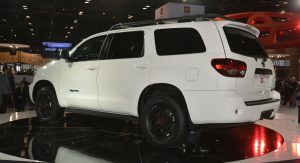 Toyota should have at least put the Tundra’s dashboard in the Sequoia to keep it somewhat fresher looking. 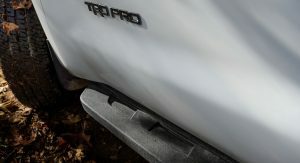 They went pretty tame in the looks department compared to the other TRD Pros. Bless this poor dinosaur. 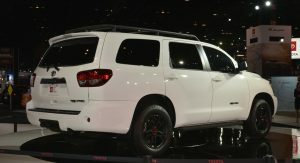 I don’t understand why Toyota did this when the RAV4 was available. This thing is so dated and needs a redesign badly. 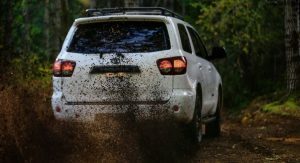 I will always love the Sequoia, but I can admit it’s past it’s deadline for a redesign or discontinuing. It’s like when Joan Rivers got a face lift. My eyes! Needs to be killed with fire.. This is so dated, It’s pathetic! No fake hood scoop? Pass. 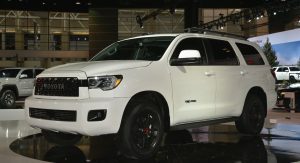 As far as appearance packages goes, Toyota has gotten lazy. Where’s my snorkel? 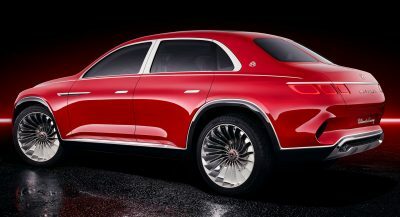 This should’ve applied to Sequoia like in 2nd model year, not 32nd model year!!! Wow Toyota! Wtf has happened to you?!?!? 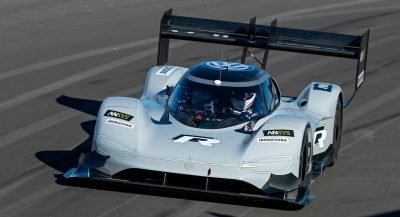 Why didn’t they use a current model for this upgrade?………… Oh?! 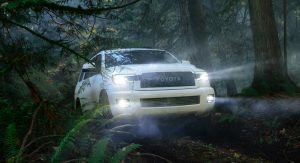 Toyota is being lazy and greedy here. This thing is ridiculously old, but I bet the bag so much profit on every sale it’s making them keep it in production as long as possible. Wait, this thing’s not dead? 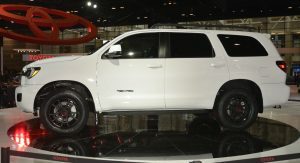 Looks like a bloated dead whale carcass, would much rather have a Land Cruiser. in what country are you from?